Crowd Valley aims to make its global insights available to the whole industry in order to develop a better understanding of and support the market and current trends. Here you can access past research reports, which includes the quarterly Online Investing Market Reports and the US Intrastate Crowdfunding Regulations Report. You can also request to be added to the publication list of future insights and publications. These reports are aimed to be released periodically in order to track developments and applications in the global online securities market. Sign up here to be added to the distribution list. By signing up, you can also leave requests for data points and areas of future research. Download previous reports below. Global Digital Investing Market Report: Facts and Figures Collected Q4 2014 ( January 2015). Crowdfunding Market Report: Facts and Figures Collected Q3 2014 (October 2014). Crowdfunding Market Report: Facts and Figures Collected Q2 2014 (August 2014). Crowdfunding Market Report: Facts and Figures Collected Q1 2014 (May 2014). 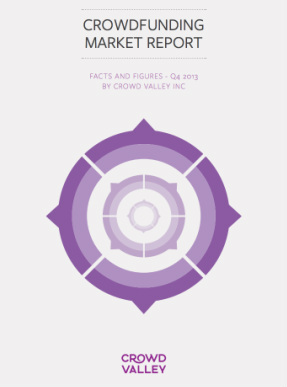 Crowdfunding Market Report: Facts and Figures Collected Q4 2013 (February 2014).